Robert Ebersohn will join French Top 14 club Montpellier after the Currie Cup having seemingly slipped behind Jan Serfontein, JJ Engelbrecht and Juan de Jongh in the Springboks pecking order. Montpellier first approached the Cheetahs centre to join them at the end of the Super Rugby season, but the Bloemfontein franchise would not release him in time to secure the deal and the player also chose to try to make the Springboks side. Ebersohn made the Springboks squad but played no part in their victory in the quadrangular tournament featuring Samoa, Scotland and Italy, and, barring injury, he seems unlikely now to play in the November tour of Europe. Montpellier approached Ebersohn with a second offer, and the French club posted his picture and profile on its website on Wednesday to prompt public release of the news in South Africa. He joins Rene Ranger and Wynand Olivier at the French club with growing Top 14 ambitions. 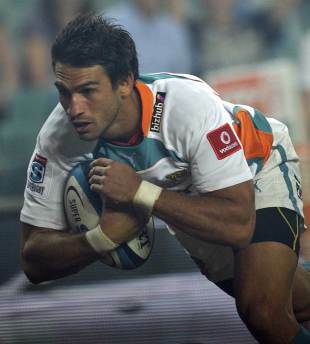 The Cheetahs, who play the Brumbies in a Super Rugby qualifier at Canberra Stadium on Sunday, had hoped to keep Ebersohn for next season having re-signed Willie le Roux and Trevor Nyakane but they are now resigned to losing one of their rising stars.